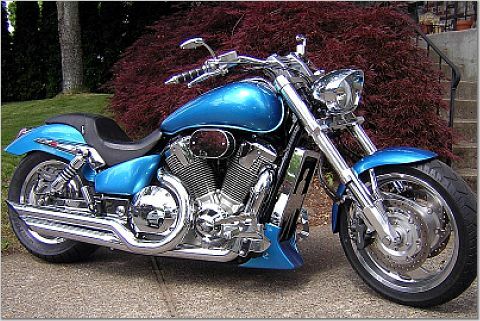 VTX-treme is a company dedicated to bringing exciting, quality custom motorcycle aftermarket products to the enthusiast. The highest quality Raked Triple Tree Rake Kit for your Honda or Victory. 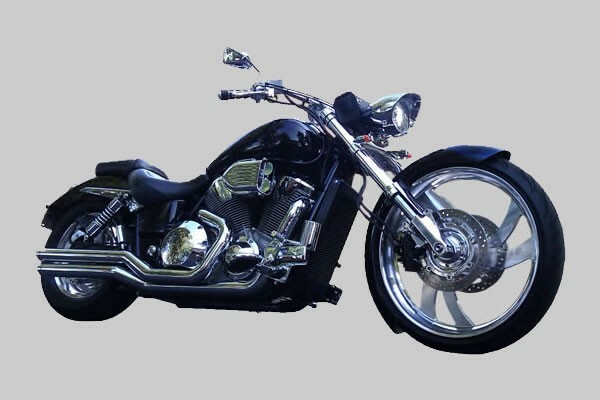 We also produce Headlight Extensions, Handlebar Risers, Fork Extensions, Custom Triple Trees, Brake Lines, Shock Absorbers and other custom parts. 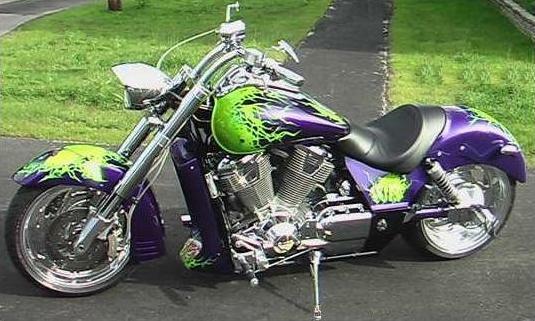 Motorcycle Aftermarket Products - Raked Triple Tree Rake Kits, Headlight Extensions, Handlebar Risers, Fork Extensions & more. Raked Honda VTX1800 shown. 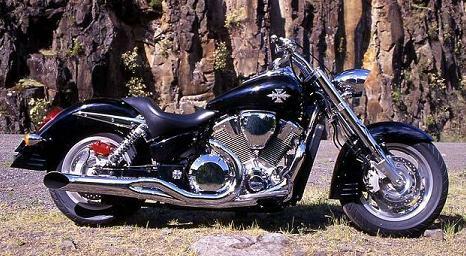 You will find our components address the entire bike, from front to rear. Our products are machined from high-quality billet aluminum. Most of our design ideas and innovations come from extensive research and development. Some come from riders like you. 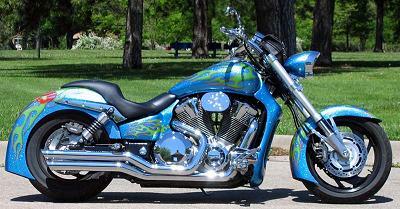 Our popular bolt-on rake kit will change the look of your bike dramatically. 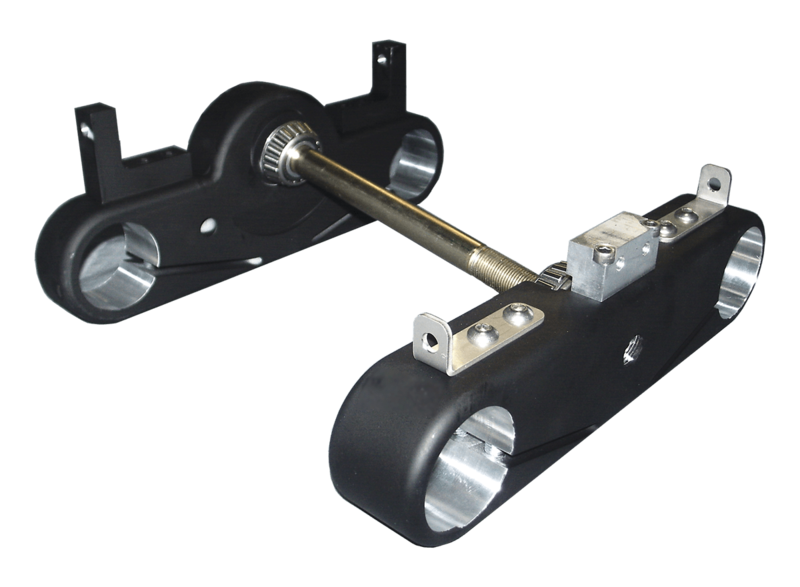 The additional rake creates that longer, lower appearance of a custom without the cost! Custom bike builders will cut and reweld the neck (and then repaint) or throw out the original frame for something completely different! And that can get expensive! Here's the alternative. 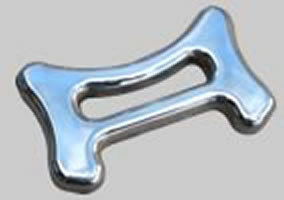 Made out of tough billet aluminum and polished to a beautiful finish the VTX-treme raked triple tree is the answer. We're pleased to make our parts available nationwide through several quality companies. If there are items on this site that are not listed in your distributor's store, let them know what you want. If there are items you want that we're not currently making, or if you have an idea of something that hasn't been done before, let us know. Who knows, maybe we'll make it? with our Custom Rake Kit. 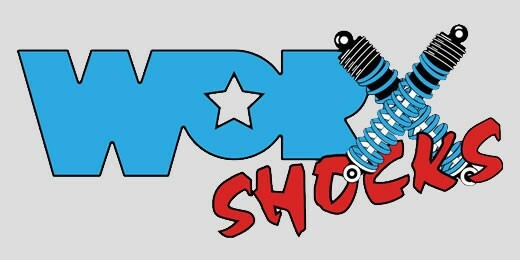 WORX motorcycle shocks are made for your weight and riding style. Custom lengths available. Contact us for prices and availability.